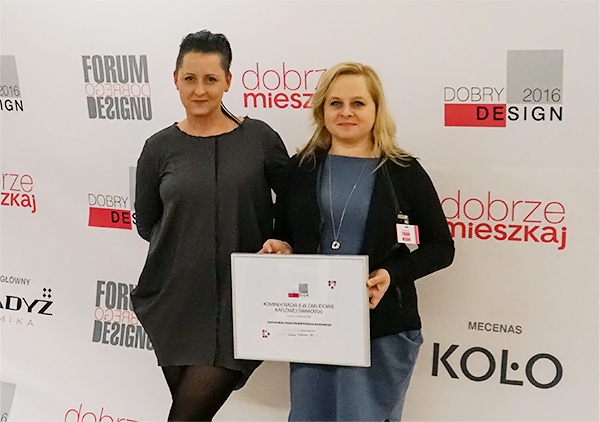 Magazine “Dobrze Mieszkaj” and a web portal dobrzemieszkaj.pl organize a competition for the best products for interior market. In this year`s edition 251 produtcs in 11 categories were submitted. In one of categories called “Living room” our frireplace Nadia 8 with casing made of tiles decorated with Swarovski crystals was honorable mentioned. Original design, beautiful look and innovative solutions – this features of our Nadia were appreciated. Gala awards ceremony took place on 9 December at the Museum of the History of Polish Jews in Warsaw Polin. Thank you for your award!